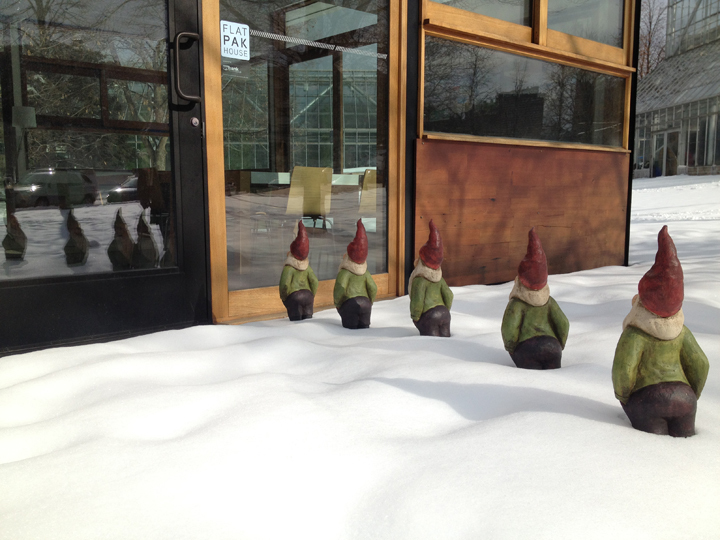 In anticipation of summertime mini-golfing, Nicola, Suzanne, and Bryan Carpenter have been preparing their fearless troop of gnomes for the battle ahead. 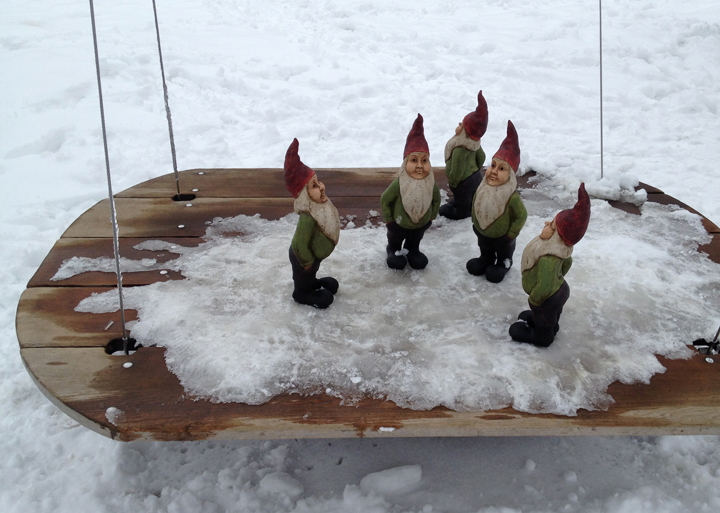 These gnomes are central to the Carpenter family’s artistic vision: their mini-golf hole is also a foosball course in which garden gnome strikers will block the participant’s way to the hole. There are 13 artists and artist teams collaborating on 15 holes that will grace the Sculpture Garden for its 25th anniversary this summer. Walker on the Green: Artist-Designed Mini Golf is presented by the Walker Art Center and mnartists.org and will run from May 23, 2013, through Labor Day. 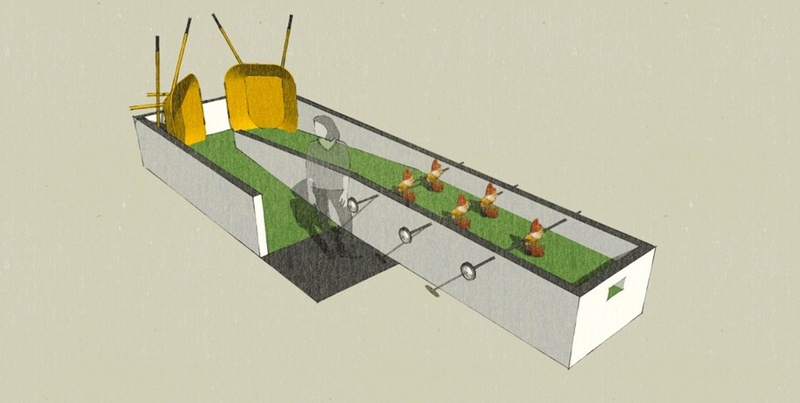 Garden Gnome Foosball, Nicola Carpenter, Bryan Carpenter and Susanne Dehnhard Carpenter. 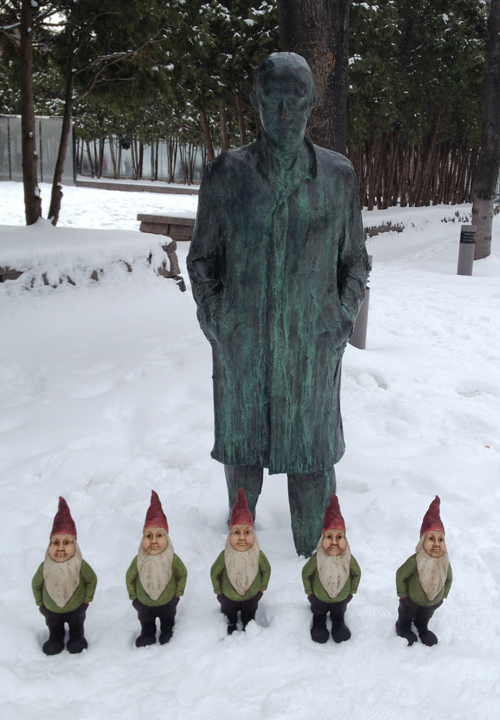 The Carpenters recently took a stroll through the Minneapolis Sculpture Garden with their small companions. 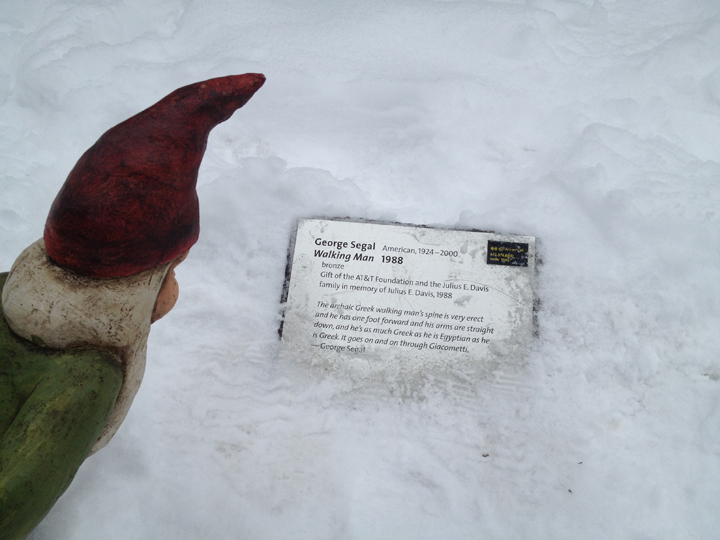 Here is a visual essay of the gnomes’ fruitful jaunt. The FlatPak House was closed, but they stood in line anyway. They loved that the cherry matched their hats. 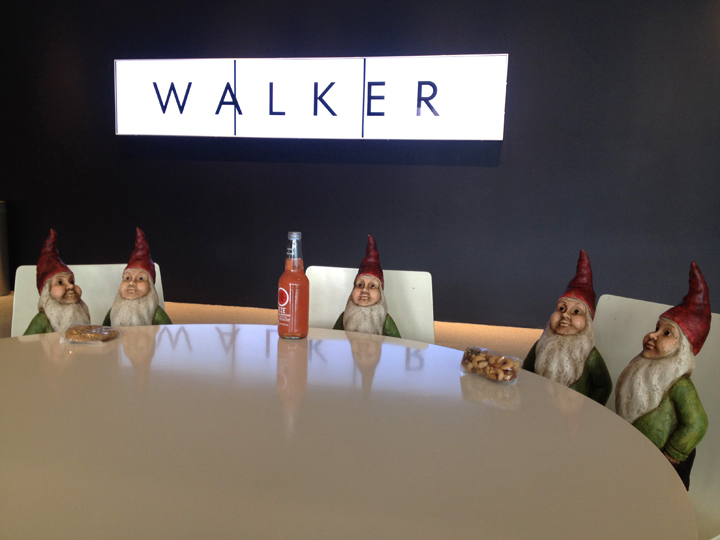 After such an adventure, the gnomes were ready for a snack. 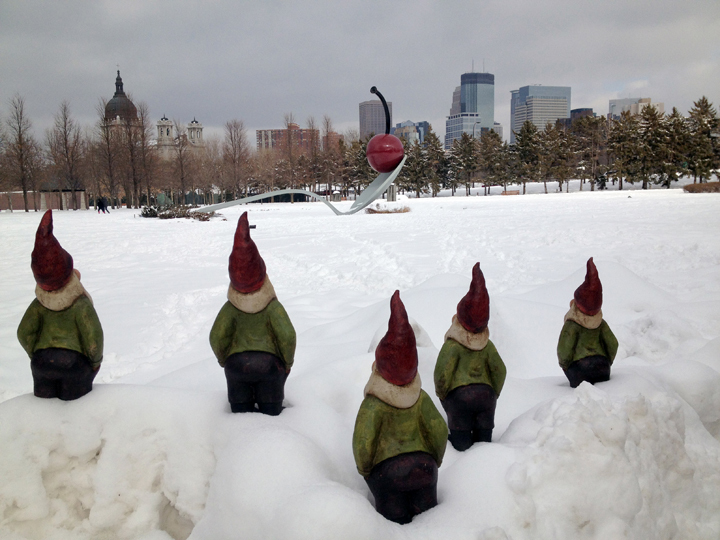 The gnomes are excited to see what is in store next for their mini-golf adventure!